Our 2017 HIPAA enforcement summary details the financial penalties paid by healthcare organizations to resolve HIPAA violation cases investigated by the Department of Health and Human Services’ Office for Civil Rights (OCR) and state attorneys general. 2017 saw OCR continue its aggressive pursuit of financial settlements for serious violations of HIPAA Rules. There have been 9 HIPAA settlements and one civil monetary penalty in 2017. In total, OCR received $19,393,000 in financial settlements and civil monetary penalties from covered entities and business associates to resolve HIPAA violations discovered during the investigations of data breaches and complaints. Last year, there were 12 settlements reached with HIPAA-covered entities and business associates, and one civil monetary penalty issued. In 2016, OCR received $25,505,300 from covered entities to resolve HIPAA violation cases. Listed below are the 2017 HIPAA enforcement activities of OCR that resulted in financial penalties for HIPAA-covered entities and their business associates. 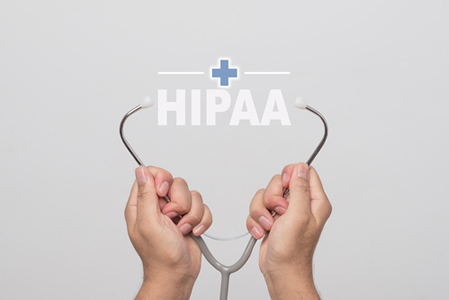 OCR’s 2017 HIPAA enforcement activities have revealed covered entities are continuing to fail to comply with HIPAA Rules in key areas: Safeguarding PHI on portable devices, conducting an organization-wide risk analysis, implementing a security risk management process, and entering into HIPAA-compliant business associate agreements with all vendors. Throughout 2016 and 2017, many covered entities have failed to issue breach notifications promptly. In 2017, OCR took action for this common HIPAA violation and agreed its first HIPAA settlement solely for delaying breach notifications to patients. In late 2016, OCR commenced the much-delayed second phase of its HIPAA-compliance audit program. The first stage involved desk audits of 166 HIPAA-covered entities – 103 audits on the Privacy and Breach Notification Rules, and 63 audits on the Security Rule. 41 desk audits were conducted on business associates on the Breach Notification and Security Rules. While the full results of the compliance audits have not been released, this fall OCR announced preliminary findings from the compliance audits. Covered entities were given a rating from 1 to 5 for the completeness of compliance efforts on each control and implementation specification. A rating of 1 signifies full compliance with goals and objectives of the standards and implementation specifications that were audited. A rating of 5 indicates there was no evidence that the covered entity had made a serious attempt to comply with HIPAA Rules. Listed below are the findings from the HIPAA compliance audits. A rating of 5 being the worst possible score and 1 being the best. Almost a third of covered entities failed to issue breach notifications promptly and next to no covered entities were found to be fully compliant with the HIPAA Privacy and Security Rules. OCR has delayed the full compliance reviews until 2018. While some organizations will be randomly selected for a full review – including a site visit – OCR has stated that poor performance in the desk audits could trigger a full compliance review. Financial penalties may be deemed appropriate, especially when there has been no attempt to comply with HIPAA Rules. The HITECH Act gave state attorneys general the authority to pursue financial penalties for HIPAA violations and assist OCR with the enforcement of HIPAA Rules. Relatively few state attorneys general exercise this right. Instead they choose to pursue cases under state laws, even if HIPAA Rules have been violated. Notable 2017 settlements with healthcare organizations and business associates of HIPAA covered entities have been listed below.